Planned improvements to the Union County Fairgrounds, in southwest Iowa, received a big boost this week. 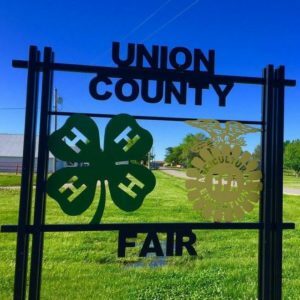 Ben Adamson, Vice President of the Union County Fair Board, says the Dekko Foundation has pledged up to half-a-million dollars in support for the construction of two new buildings and other facelifts to fairgrounds in Afton. The money is contingent on a successful fundraising campaign. “If we’re successful in raising the first $100,000, then they will award us $100,000. Then, we need to raise the remaining funds of about $1 million and they will kick in the remaining $400,000 to finish the project,” Adamson said. The Indiana-based Dekko Foundation was launched in 1981 by Chet Dekko, who made his fortune with a manufacturing business. The foundation has a strong focus around the education of youth and Adamson says one of the biggest reasons for the fairground upgrades is growing participation in the county’s 4-H and FFA programs. “They liked our proposal, so they’re willing to step up with a pledge,” Adamson said. “Now it’s up to the fair board to go out to the community and raise the funds needed.” The total budget for the entire project is $1,545,000. Adamson is hoping construction will start after the 2017 Union County Fair. Dekko has given the fair board until December 31, 2017 to raise the funds in order to receive the full pledge funding.